My relationship with Crown is best likened to how the men in my life feel about attending social events: the thought of it turns them to protesting toddlers, but once they arrive, they’re last to leave. On first glance it’s glitzy and crowded, but when you know what you’re doing and where you’re going, it warms on you. At the very least it’s a seriously impressive complex. The place is so big that any form of transport attracts a decent walk, but the food is worth the journey. Dining at Crown is in the midst of a number of changes with Giuseppe, Arnaldo & Sons out; 400 Gradi in; and Fat Duck upsetting thousands who missed out on a balloted booking. 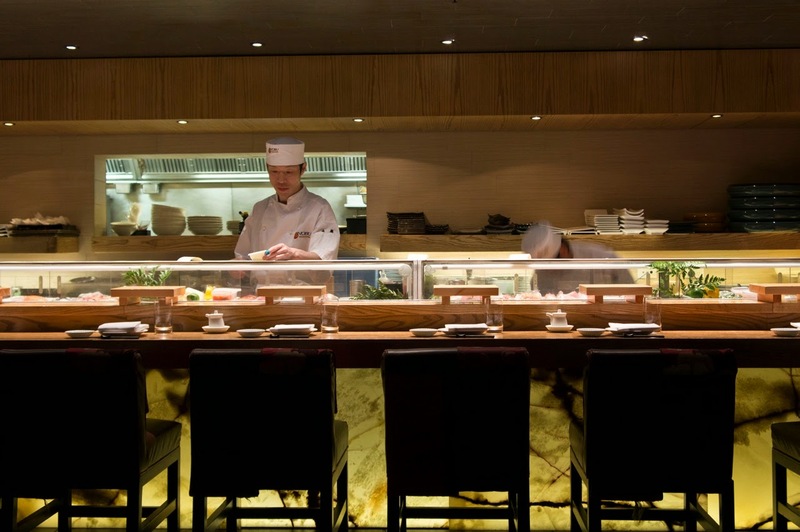 But for less than half the price of the set food menu at Fat Duck, you can join Crown’s Progressive Culinary Tour and indulge like King Henry VIII at four premium restaurants. It’s all part of Good Food Month, and I was invited along as a guinea pig. Like many lab rodents I, nearly died from overeating. It started at the Atrium Bar, Crown’s ritzy champagne destination just inside the main casino floor. 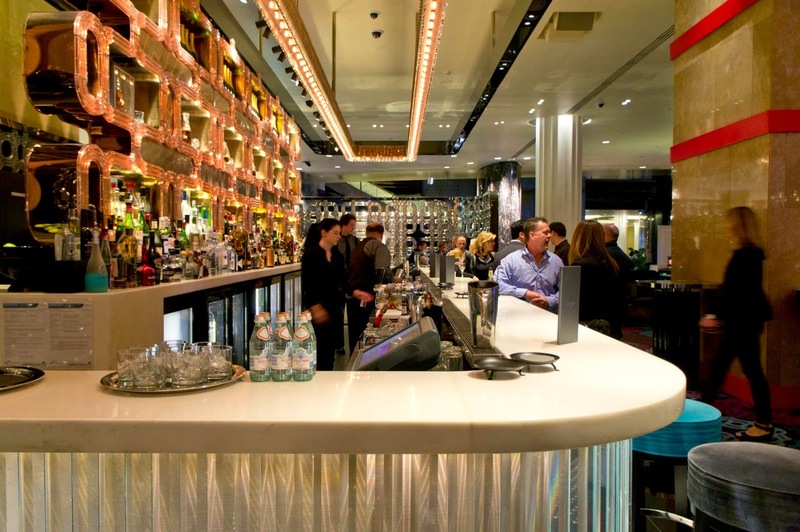 For those unfamiliar with it, there’s a long white-marble bar flanked by decorative lighting and metallic finishes. 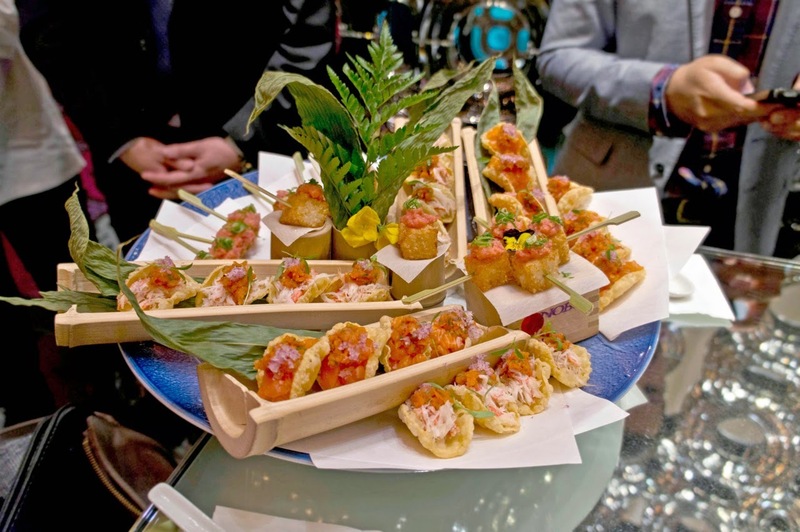 It’s opulent, not elegant, and we struggled to maintain self-control when lavish platters arrived from No.8 by John Lawson, Koko’s and Nobu. Our first seated stop was at the latter. The irasshaimase welcome here is more subdued than usual, given the sophisticated setting. 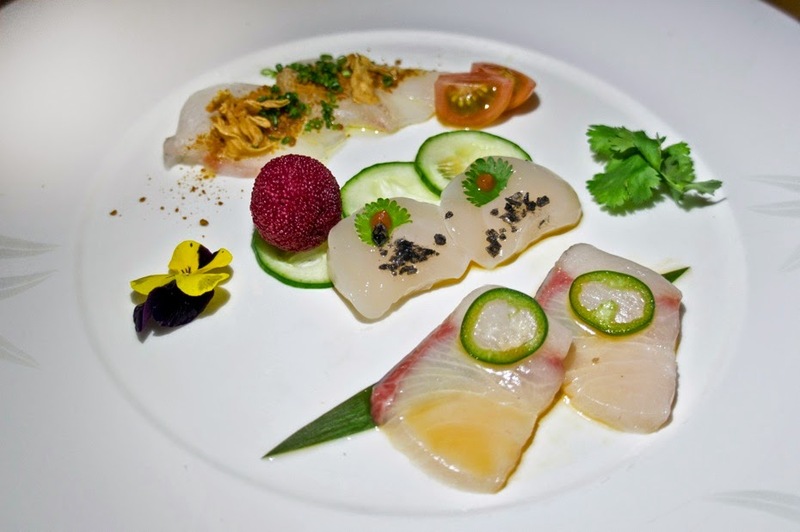 Palates were whet with a trio of sashimi, including yellowtail with the added zing of jalapeño and spectacularly slippery scallops. 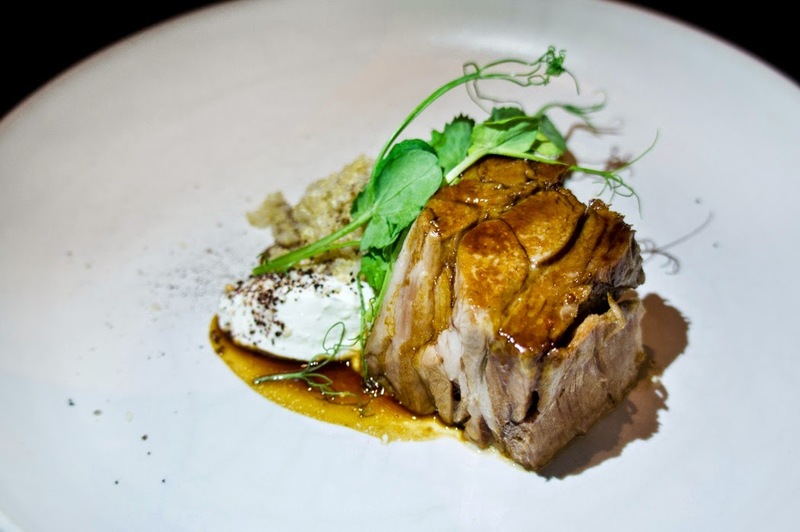 John Lawson was next to welcome us at No.8 with a generous main of Barwon River lamb shoulder nestled beside bush-spiced quinoa and sheep's yoghurt. 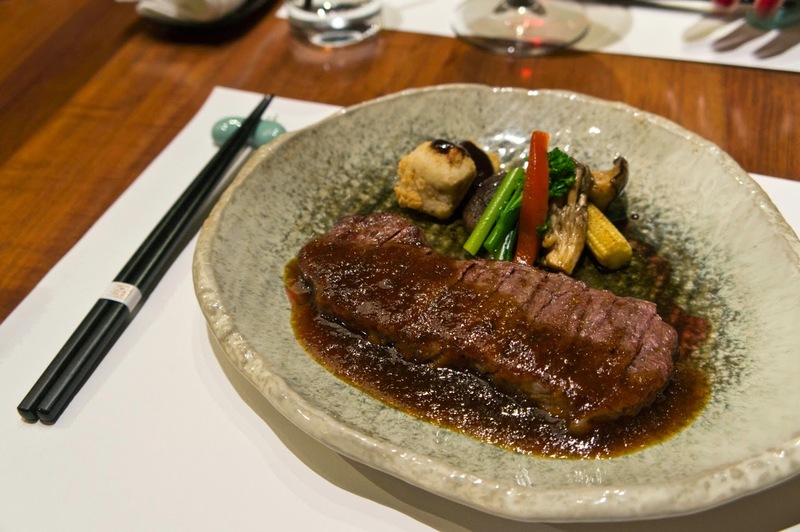 It continued upstairs at Koko with a stunning piece of grade-9 wagyu sirloin doused in thick onion sauce. I swore to myself another piece of food wouldn’t enter my mouth for at least 24 hours, but then we were escorted downstairs to The Waiting Room where tea and a tiered platter of pastries tempted too much for me to keep my promise. At $250, the Progressive Culinary Tour at Crown is good value, but it still falls under the Good Food Month category of ‘splurge’. I’ve gone ahead and included a list of my top Good Food Month picks below. They fall into two other categories: those that are gentler on the pocket and those that promise to be memorable, one-off dining experiences. 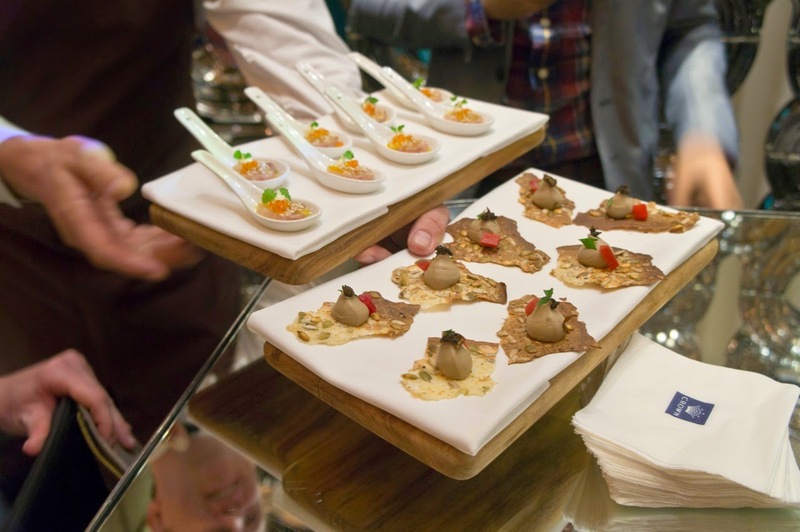 Crown’s Progressive Culinary Tour is on this month, November 18-20 and 25-27. Visit Crown's website for more details. Going out for breakfast in Melbourne often costs more than lunch, if not dinner. The Weekday Breakfast Club is a great way to treat yourself and others to a plate and a coffee for $20 a head during the working week. Participating cafes include Auction Rooms, Pope Joan and ST ALi. More here. Head to Dandenong and discover what real West African food tastes like at Africa's Melting Pot world dinner. Best of all, this three-course traditional meal will only set you back $22. Ah, yes, the Noodle Markets. If you missed out last year, it’s upgraded to Birrarung Marr in the city, so hopefully the crowds will be a little less intense. Expect hawker-style dishes from favourites such as Chin Chin, Mamak, Izakaya Den and Longrain, with nothing over $15. It’s not easy eating green – being a vegetarian can sometimes mean missing out on all the good stuff. The Town Mouse is putting on a Saturday lunch called Friends with Vegetables, where herbivores will be the majority for once. Forget pork, newcomer Pastuso are giving guests the opportunity to dine head-to-tail on alpaca with a six-course Peruvian feast. Slow-cooked, braised, roasted – you name it; it will be there. 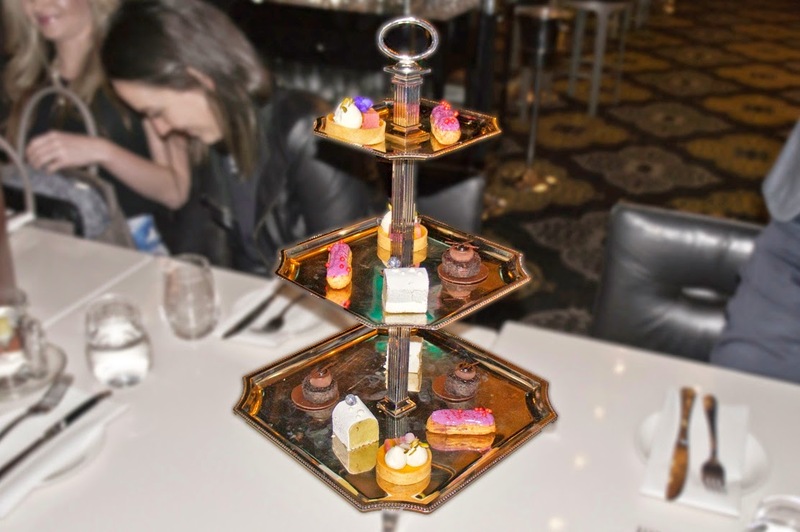 Melburnians are crazy about yum cha, but The Grand has decided to do something a little different for Good Food Month. Instead of the usual dumplings and fried goods, yum cha trolleys will be wheeling around hand-made tortelli, ravioli and agnolotti. A taste of the Barossa Valley in the form of a long lunch, hosted by Maggie Beer, paired with Yalumba wines, conveniently located in North Melbourne. What’s not to love? Nice post. I am really happy to visit your blog. Thank for sharing. Just log on to their website and you'll find complete information about food suppliers from every part of Australia.